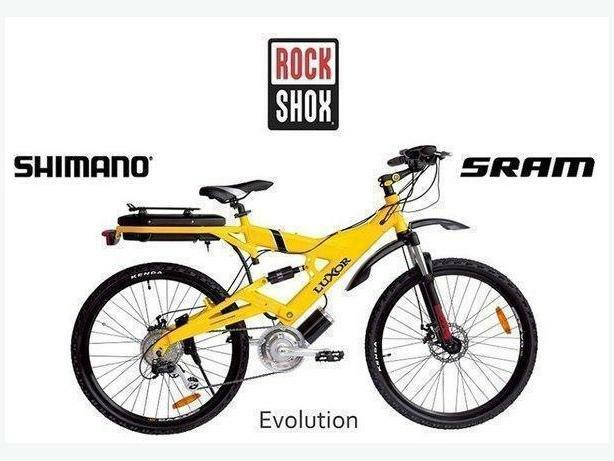 Bikes from the exact same manufacturer retail up to $3,300.00 Canadian in North America, we are the only ones that sell both the central drive and the compact hub drive system at the lowest prices by far. We had these bikes custom made with top name brand components to our specs by the manufacturer, the manufacturer then decided they liked all our changes and made it their new models to sell. because of this all other companies they supply around the World selling bikes from the same manufacturer benefitted from all our changes, but due to costs the manufacturer stopped at a certain level of upgrades and we did not. Our 250 bikes go at up to 27 KPH and are very good hill climbers with 3 times the torque per watt used of direct drive hub bikes, we have the Shimano rapid fire trigger shifter while most have a cheaper turn shifter, this gives you much smoother in shifting even on hills. Ours also comes with the King meter 5 speed LCD computer while others have the 3 speed controller. We are the importer and have these bikes made to our specs, so we are the manufacturer and because of this can offer the best deals out there. Not enough room here so please feel free to visit our website below on the left our brochures with a list of all components. We frequently do personal deliveries of our products to customers and bring bikes by to interested possible customers to see and try the bikes, if you like the bike you can buy it right there on the spot. We are the only company we know of that provides this service. !!! SIZE DOESNT MATTER TECHNOLOGY DOES !! !